​Hand-signed by the artist Michael Hunt and Phil Robertson! Limited to only 75 prints in the edition. Individually hand-signed by the artist, and identified with the letters SE (special edition). Each print is then personally and individually hand-signed by all four Duckmen. ​A hand-drawn Remarque, or original work of art, is then done by the artist on each print. No two are the same, making each a one of a kind original. 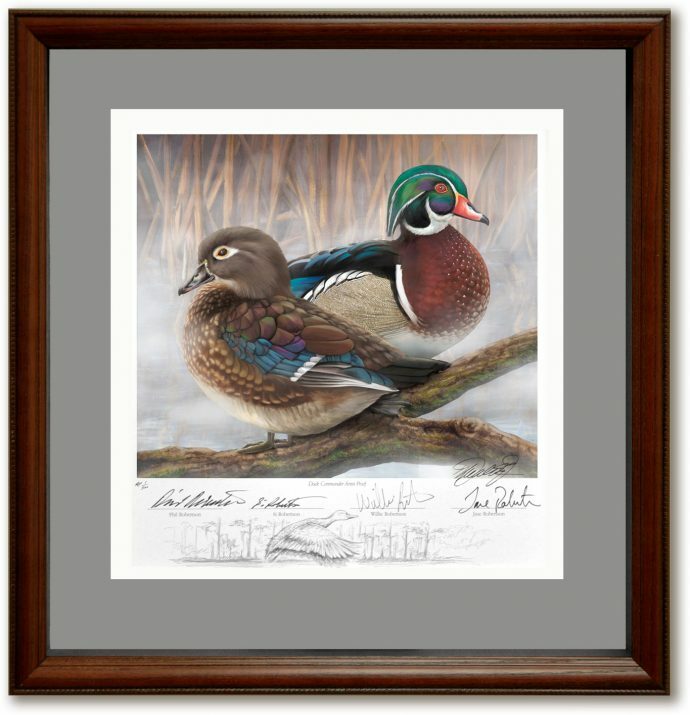 Size 14"x15"
The Duck Commander with hand-drawn Remarque signed by the stars of Duck Dynasty!